Our RK9 Campaign is about tackling dog fouling in the borough. The idea of the campaign is to use the data collected to form the basis of where fouling hot spots are or just ‘one offs’. This data will be collected by using patrols, signs, leaflets drops, bag 'n' flag events, community talks and educational visits to schools. 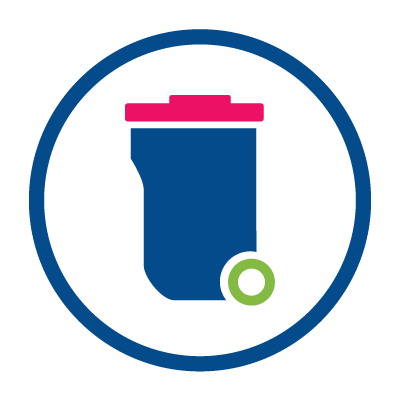 We have more bins to dispose of dog waste than ever before and the National Keep Britain Tidy Campaign, ‘Any Bin will Do’ and ‘There’s no such thing as the Poop Fairy’ highlighted that as long as the dog waste is bagged it can be placed in any litter bin. We know there are more responsible dog owners than irresponsible ones. Help us. If you see it, report it, and pass on details of possible offenders, which will be dealt with in confidence. If you require further information about this campaign or to provide details of fouling offenders please call 01622 602202. We're working with residents to tackle dog fouling in Maidstone. We want you to tell us where there are problem areas for dog fouling, so that we can step up enforcement activity - through our Dog watch Campaign. Dog Watch will see an increased presence by enforcement officers in areas identified as a problem. We will use information provided by you to help catch the irresponsible few. Information provided by our customers will really increase the chances of our officers catching the culprits. This campaign has been started as new Dog Control Orders were introduced in April 2014. The orders make it an offence for a dog owner not to pick up after their dogs anywhere in the borough, and exclude dogs from any enclosed children’s play area with a "no dogs" sign. The orders are designed to promote responsible dog ownership. Not acting responsibly will lead to a £75 fixed penalty notice. To report a problem in confidence, residents can complete our report it form or call 01622 602202. The Bag 'n' Flag part of the RK9 campaign is aimed at reducing the amount of dog mess left in parks and in different areas of the borough. Piles of dog mess which are not picked up, are given little flags and signs and then officers return to the area to see if a difference has been made when they revisit.